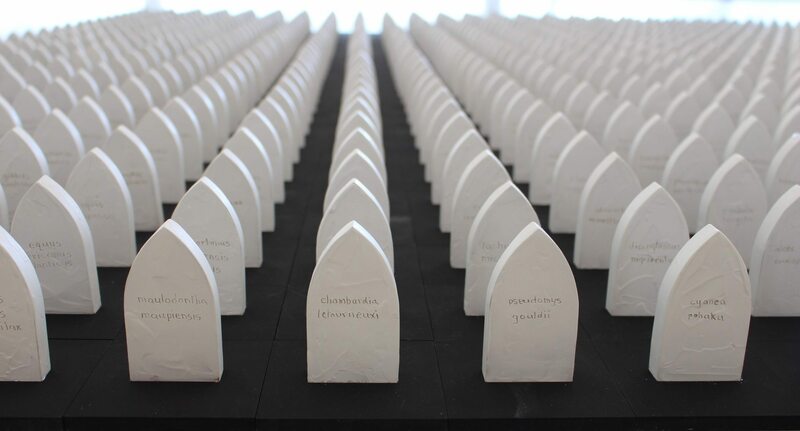 Image Credit: Jennifer Hawkins, In memory of…, 2015, 900 headstones set into 10cm tiles, individually worked with stucco. Collection of the artist. Hawkins believes that human beings are making the planet uninhabitable for most species, including ourselves. ‘As the stuff of stars’ Hawkins feels we are all connected – to each other, to the universe. This exhibition explores the cycle of that connection.